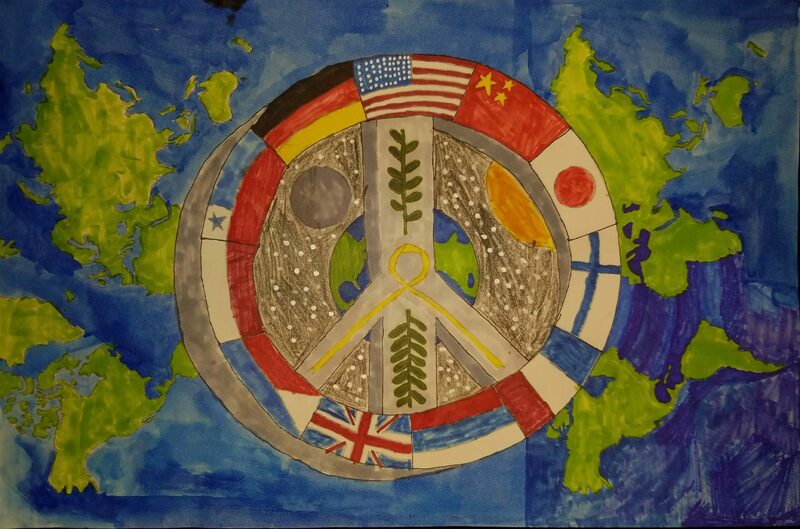 Eliot K-8 Innovation School sixth and seventh graders recently had the opportunity to participate in a Lions International Peace Poster Contest facilitated by the Boston Host Lions Club. The theme of the contest, Kindness Matters, was introduced to the students by Lions members, Mary DiMasi and Felix Padial. Students were encouraged to think about acts of kindness and the positive ripple effect that acts of kindness have on society. Eliot School Principal Traci Walker Griffith was an enthusiastic supporter of the Peace Contest and the inclusion of the Peace Contest as part of the art curriculum. The art teacher Rachel Rizzo deftly integrated this project into the school curriculum for her sixth and seventh grade classes. An independent artist judged the entries on originality, artistic merit and expression of the theme. Mary and Felix stayed in close touch with Rachel and her student teacher Ms. Kwak. Together they celebrated the completion of the posters by talking with and praising each student for their entry. Four posters created by sixth grade students – Hale McGivern, Sawsane Salhi, Liam Lally and Catherine Cox – and three posters created by seventh grade students – Jonathan Wu, Princess Rivera and Sebastian Loc Peffers – were chosen as finalists. 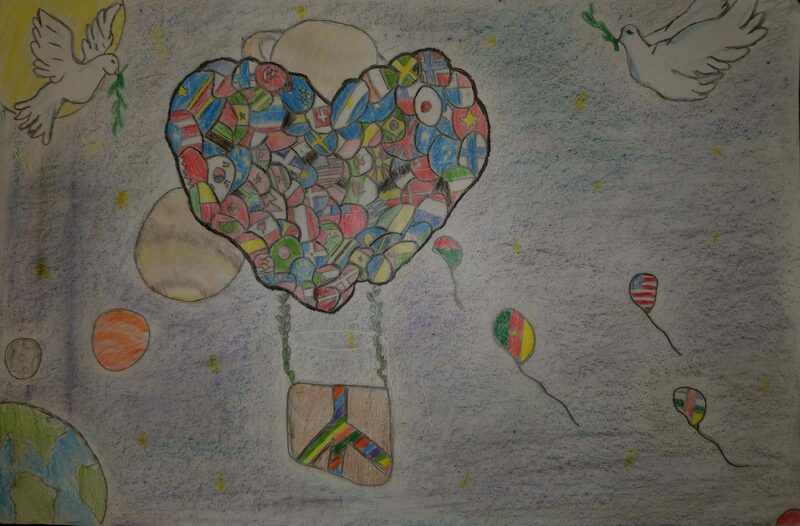 The winning poster was from a seventh grade student, Sebastian Loc Peffers. His poster will be submitted to the Lions District level contest with the other winners from the various other eastern Massachusetts Lions Clubs. 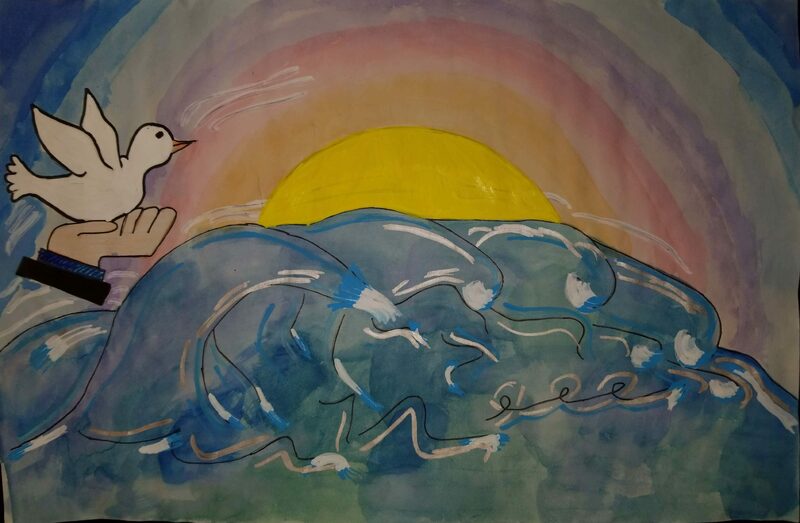 The Eastern Massachusetts winner will be sent to the next level of the Peace Contest, and the winning poster from the United States will be sent to the Lions International judging committee. The finalists were all given gift certificates by the Boston Host Lions Club. The Boston Host Lions Club has supported the Lions International Peace Poster Contest for Boston students for well over ten years, and looks forward to continuing the contest next year. Lion Chris Sabbey is working with Jennifer Hawes, North End Branch Head Librarian, to display the over sixty posters on a rotating basis at the North End Branch Library. Look for the posters the next time you visit the library. They may encourage you to perform an act of kindness as you go about your day.